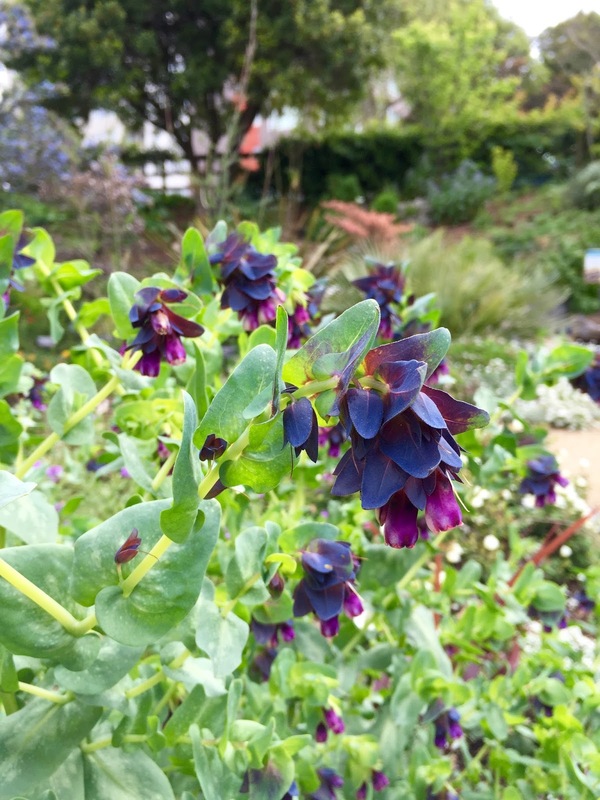 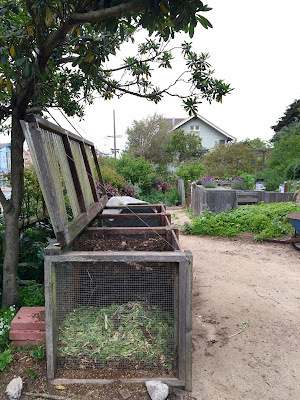 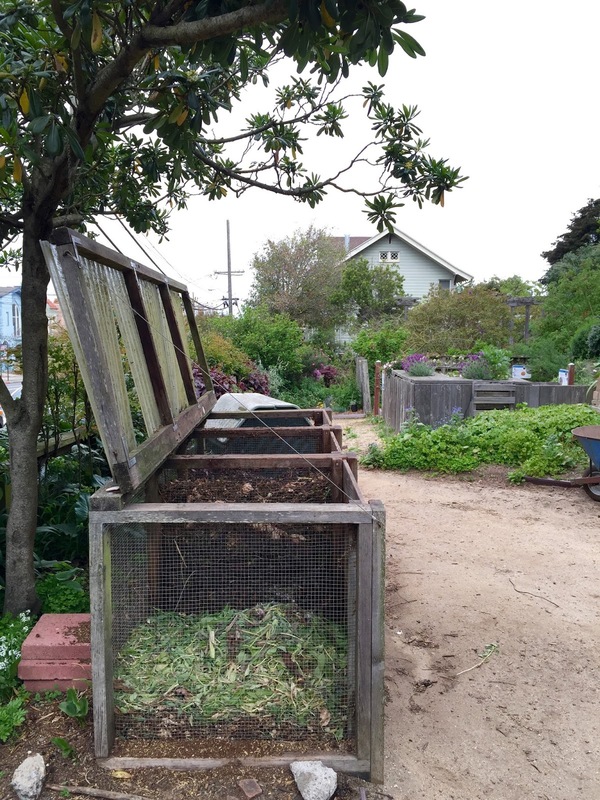 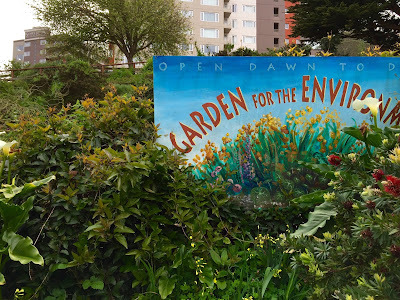 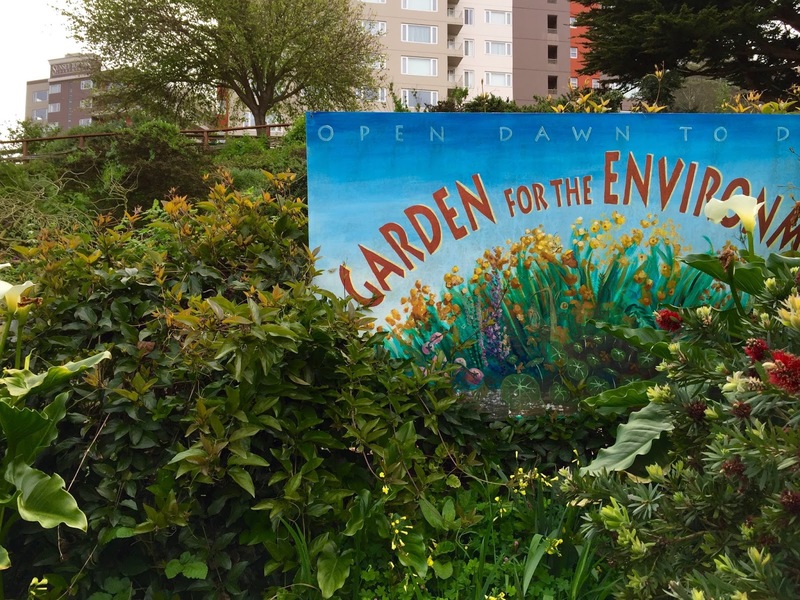 The Garden for the Environment is tucked along the inside edge of the Inner Sunset in San Francisco; the Sunset, both Inner and Outer, is notorious for the near-constant presence of salty, cold fog. 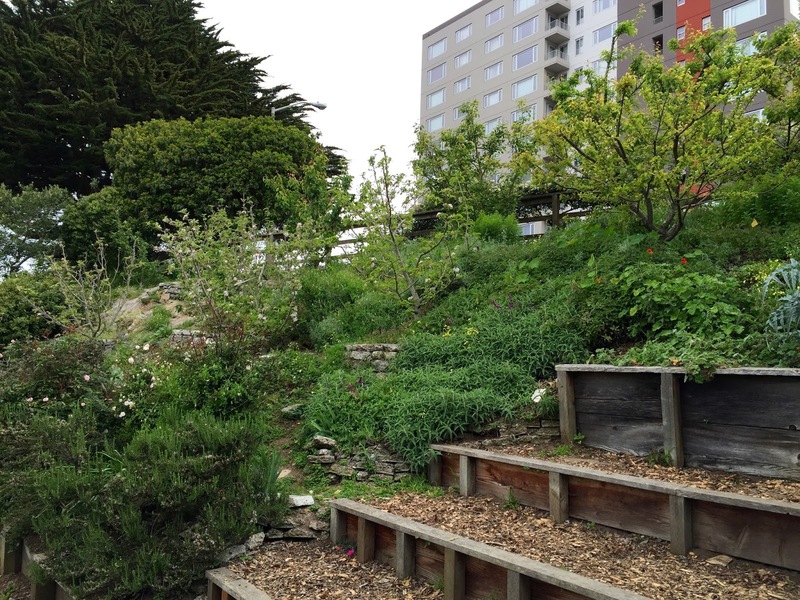 But here, in this tiny urban lot, a small staff and a lot of volunteers have created a drought-tolerant, food-producing, gorgeous garden. 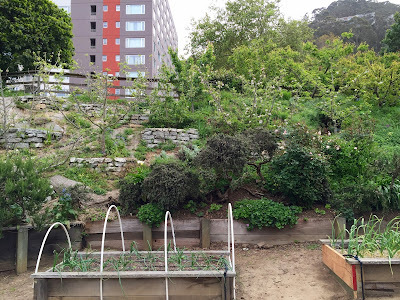 Fruit trees and miner's lettuce with urbanite terraces. 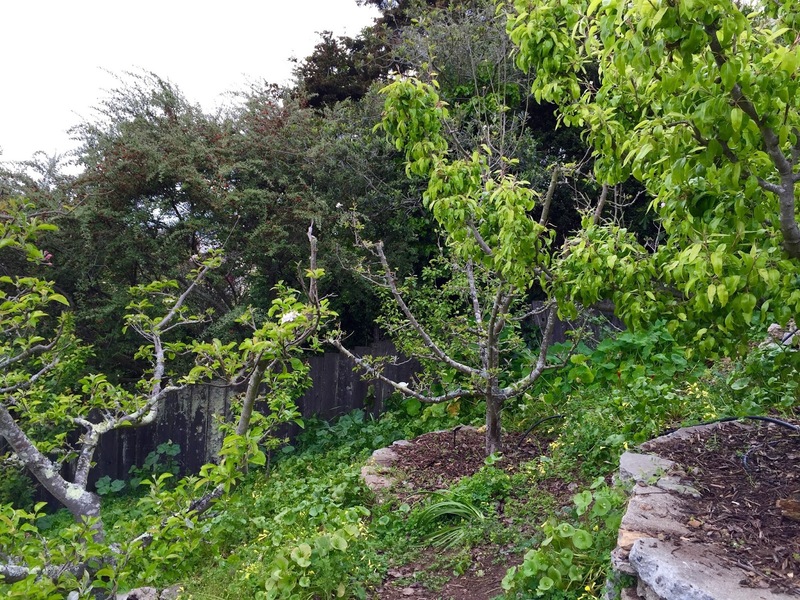 Terraces with fruit trees, roses, and others. 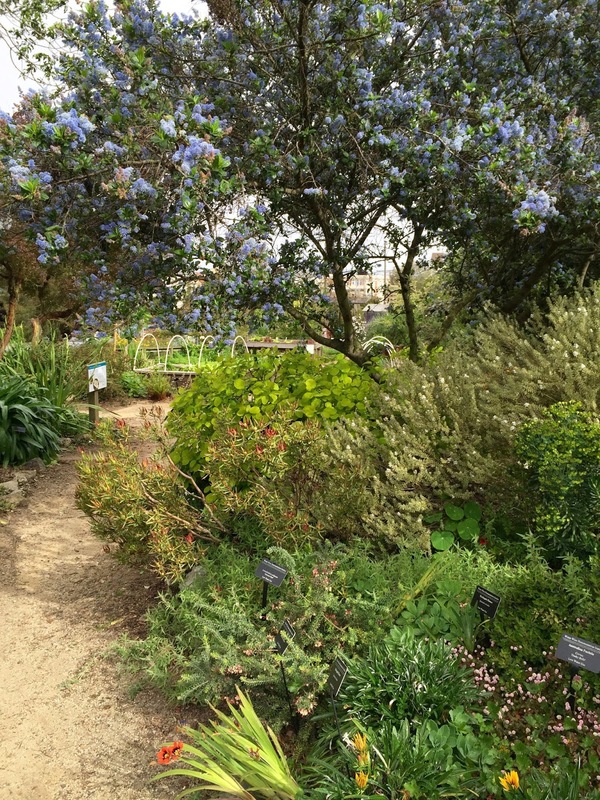 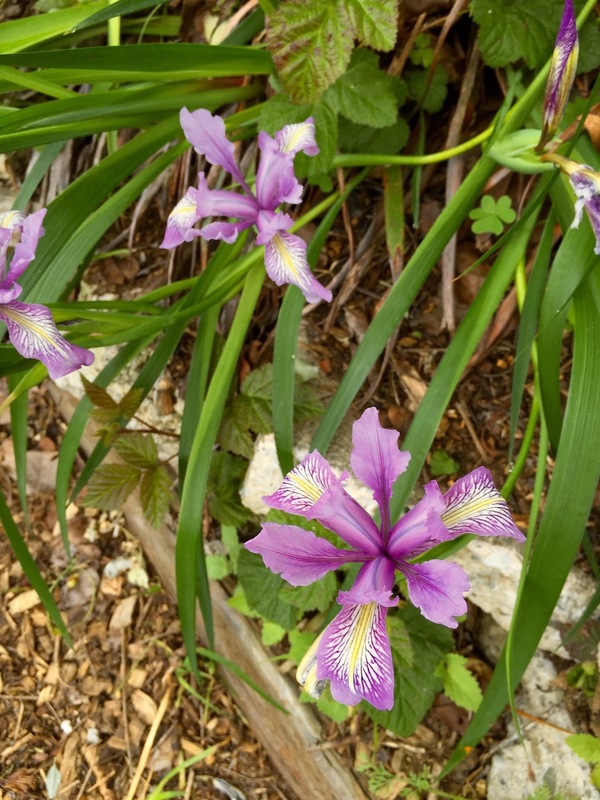 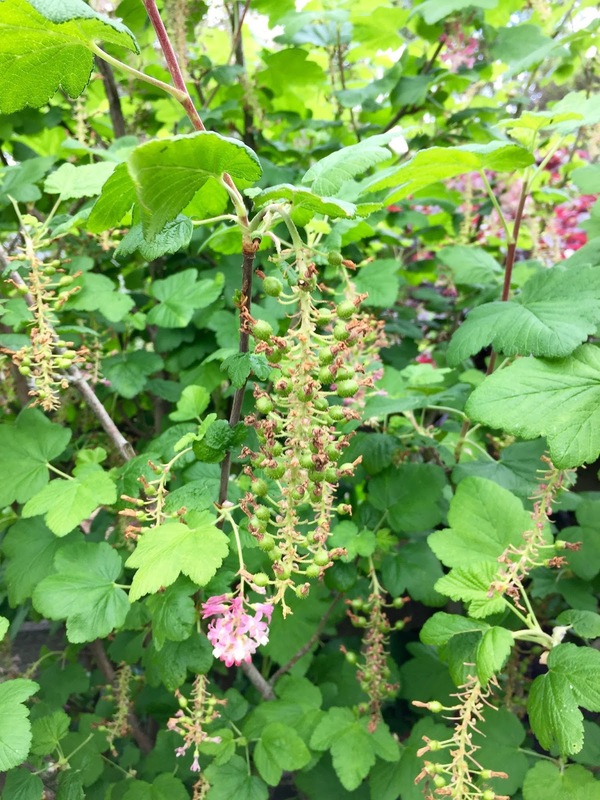 A lovely balance between food-producing, California native, and other non-native drought tolerant plants. Careful pruning of fruit trees that opened up the centers of the trees to sun and air movement. Terraced, steep hillsides planted with fruit trees, mostly apples. Terraces are built from "urbanite," broken concrete. Lots of South African bulbs, bestillmyheart. 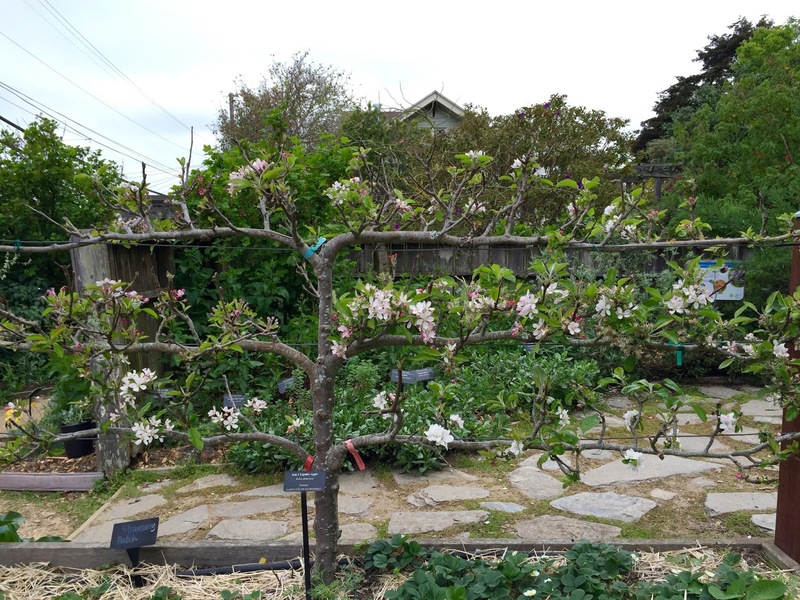 Terraces with fruit trees, rosemary, and others. Ceanothus, golden smoke bush, and others. Blue honeywort showing off its dark flower stalks. This is a place to which I want to return in order to see how different seasons unfold. Between the classes the garden offers and the free wisdom it provides just by existing, it has much to teach me as I look forward to growing food plants in my San Francisco future. 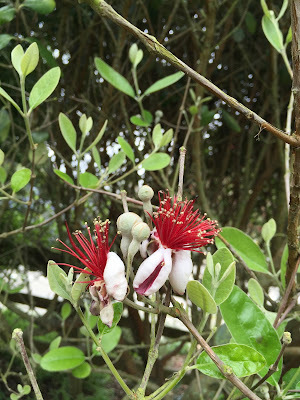 The first of the feijoa blossoms. 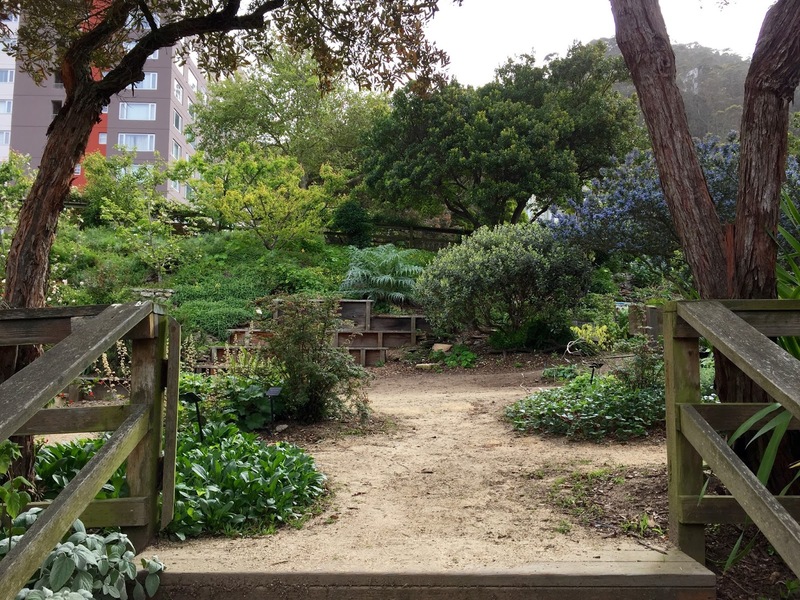 What a cool garden! 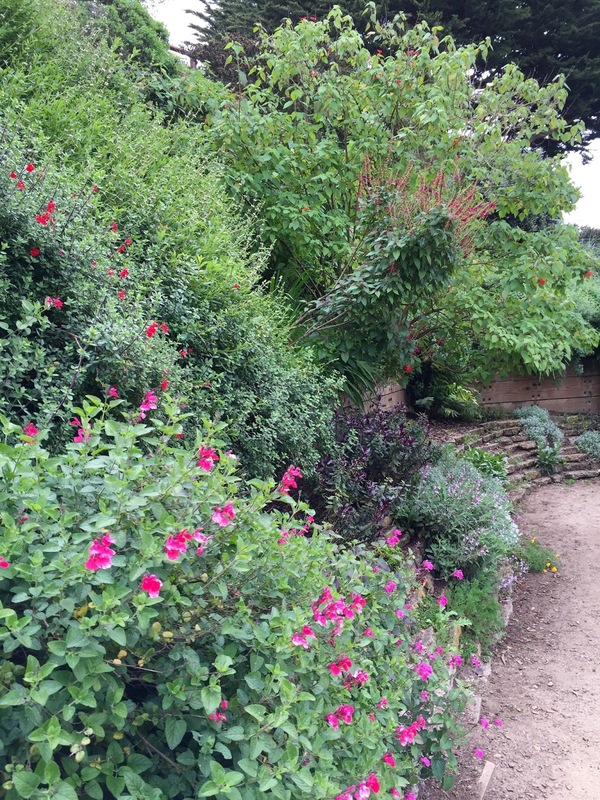 Garden looks spacious and open with the nice layout, and care of the plant beds. 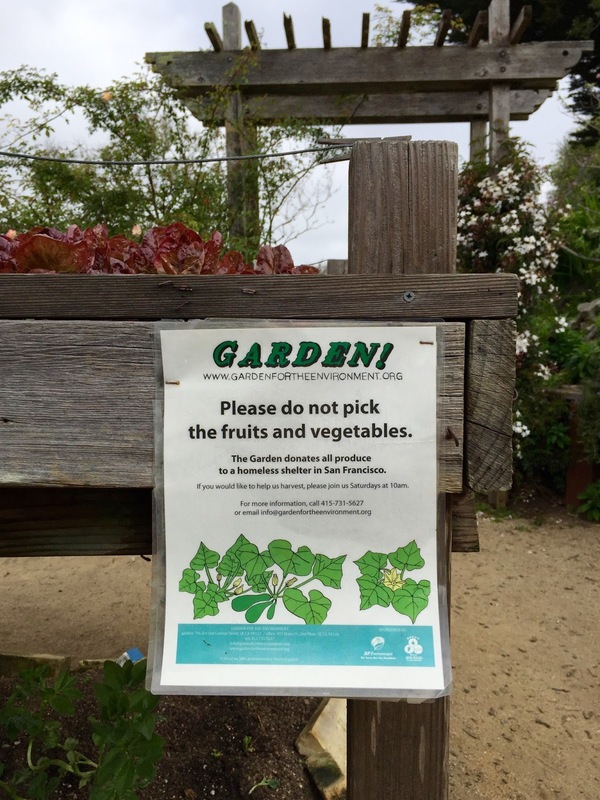 SF is always step ahead of LA.